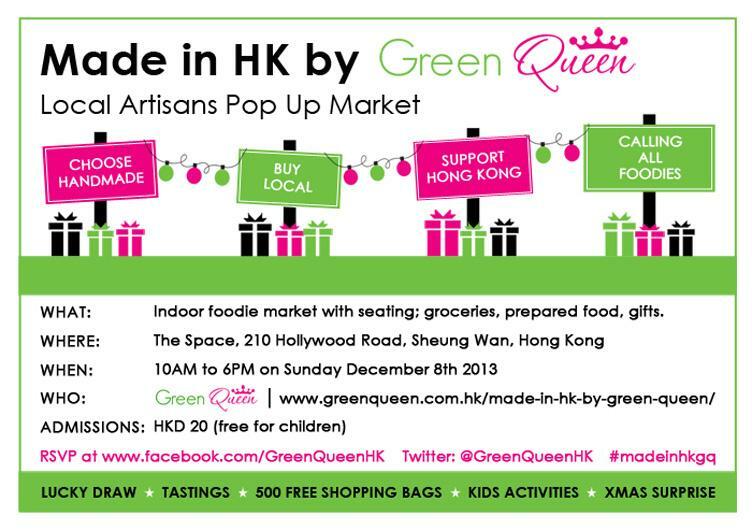 Made in HK, local artisans pop-up market brought to us by the fabulous Green Queen! Hong Kongers, search your memory banks! 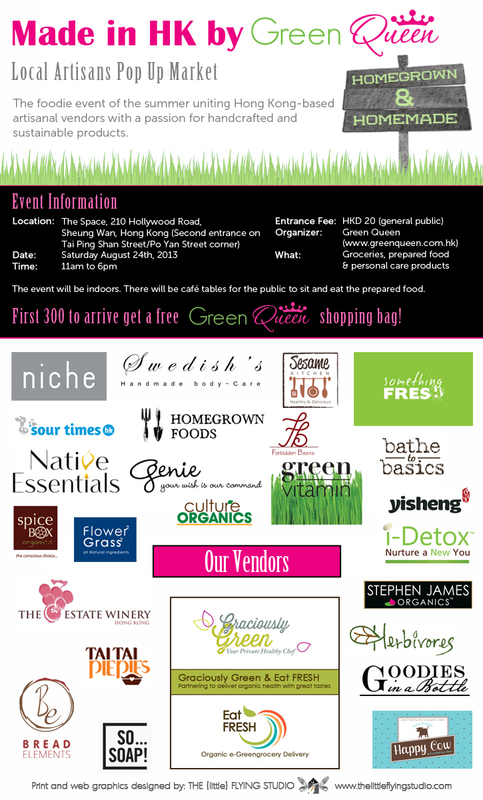 Has there ever been an food and drink-centric event 100% dedicated to products that are sustainably made here in Hong Kong, focusing on all these wonderful things: organic/vegan/artisanal/homemade/unprocessed/eco-friendly/gluten-free/homemade? Sure, there is East Island Markets, and I am not putting it down as it is a huge organisational challenge to have this market up and running for all this time. But when I saw Pizza Express there, I felt that maybe EIM has somewhat lost sight of it’s initial vision. When I visited, I was disappointed. I had been hoping for all homegrown companies, selling interesting products that I would actually want to take home with me, but I left pretty much empty-handed apart from some locally-grown strawberries (which were by the way, incredible). Anyway, I digress. 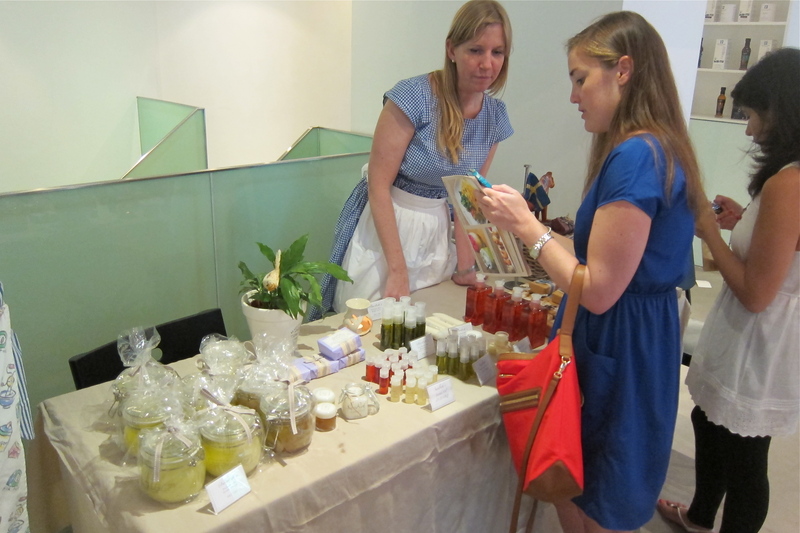 The point is, last weekend, I think a lot of us Hong Kongers finally found what we were looking for – a foodie market event that actually gave us what we want! And even if you didn’t end up taking something home (which is highly unlikely), then at least you would have had a great meal – there were lots of healthy food choices available, as well as picnic benches to eat them on. By the time I arrived at 1.30pm, most of the food had sold out! Established in 2012, this fledgling Hong Kong brand makes their ice cream from scratch using coconut cream (instead of dairy) and coconut tree nectar (instead of sugar) to make truly delicious ice creams that are healthy! Dairy-free, soy-free, and gluten-free and containing no artificial flavors, colors or preservatives, they truly taste great! Fact, coconut cream is quite fattening, but a little of this ice cream goes a long way – one scoop is enough to satisfy your ice-cream needs. We tried the Mint Chip and the Piña Colada. Their most popular flavour, Lime in the Coconut, was sold out. 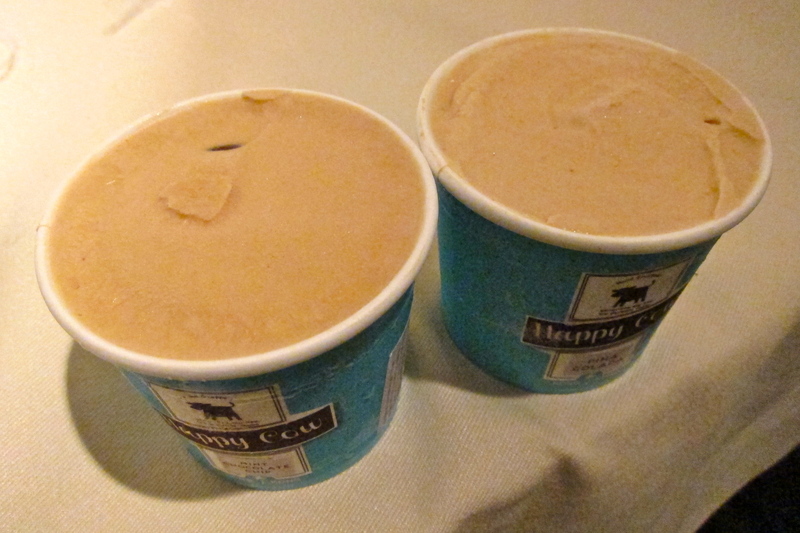 Both of the ice creams that we tried are the same in appearance, but the flavours were crisp. Love those ocean blue cups too! Happy Cow ice cream is available by the scoop at Grassroots Pantry, coming soon to JCC Kosher Mart (conveniently located in my apartment complex, woohoo!). 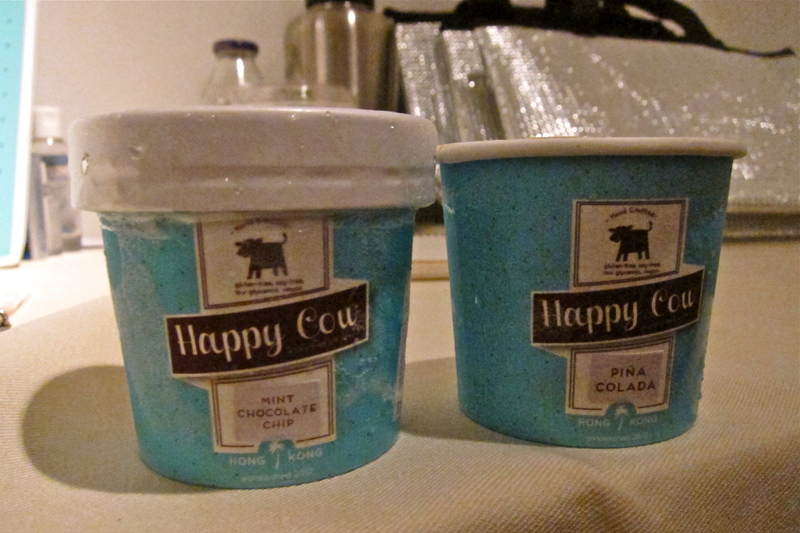 Visit their website, http://www.happycowhk.com/, to see all their flavours! The people at this stall were super-friendly and even if nothing had tempted me, I still would have bought something any way because they were just that nice. Luckily enough, PB was there to control me, or else I would have bought everything! Kale chips, organic raw chocolate, raw cheesy nuts (ignore the name, and they are delicious!) 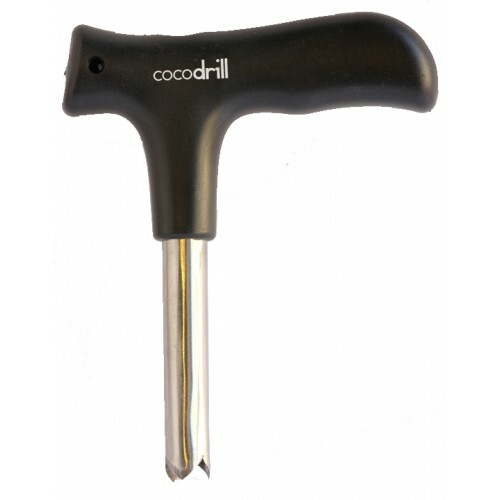 I left with a container of living almond butter (all natural, no sugars or additives) and the neatest new contraption in my kitchen, the Coconut Drill. Because hacking away at a coconut with a big knife always made me a tad nervous! You can order their products online, and delivery within Hong Kong, Kowloon and New Territories is free for orders above $500. 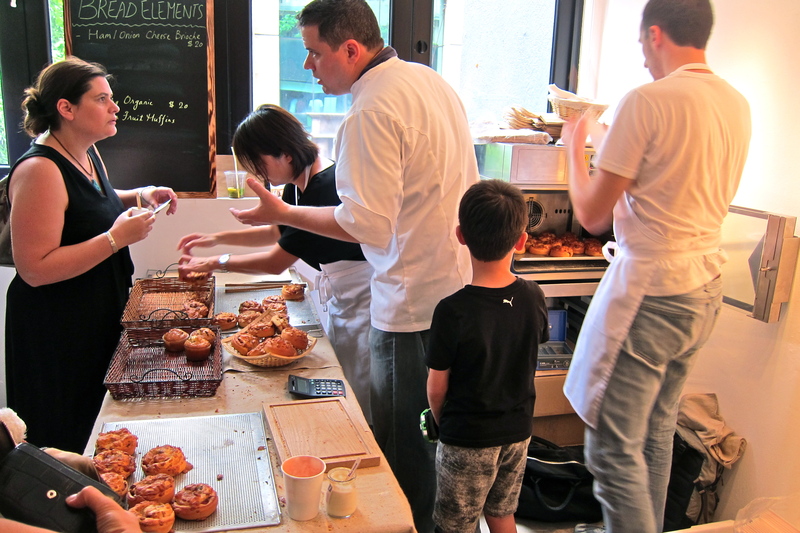 Bread Elements is a wholesale artisanal bakery that supplies mainly hotels and restaurants (Indigo, Chez Patrick, Metropolitain and 22 Ships), and can also be found for the public to buy at Chez Patrick Deli. By the sounds of it, they are French – so I’m curious to try their baguette. They had sold out of mostly everything apart from the ham, onion cheese brioche and the Fanling organic passion fruit muffins, neither of which I tried as I was unfortunately stuffed already. But don’t they look tempting? I can never pass by a cupcake without eating one, it’s a sickness. 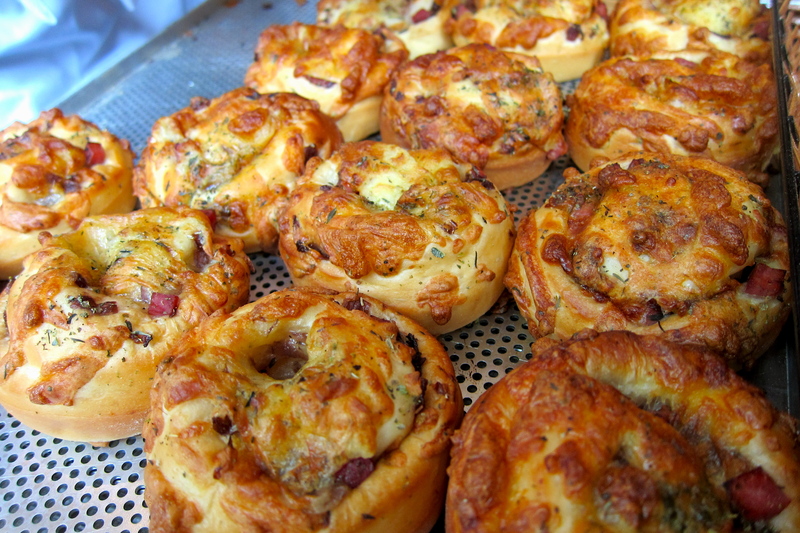 Niche is a home-baked cupcake company started by two friends who love food! How can you not support something so entrepreneurial?! 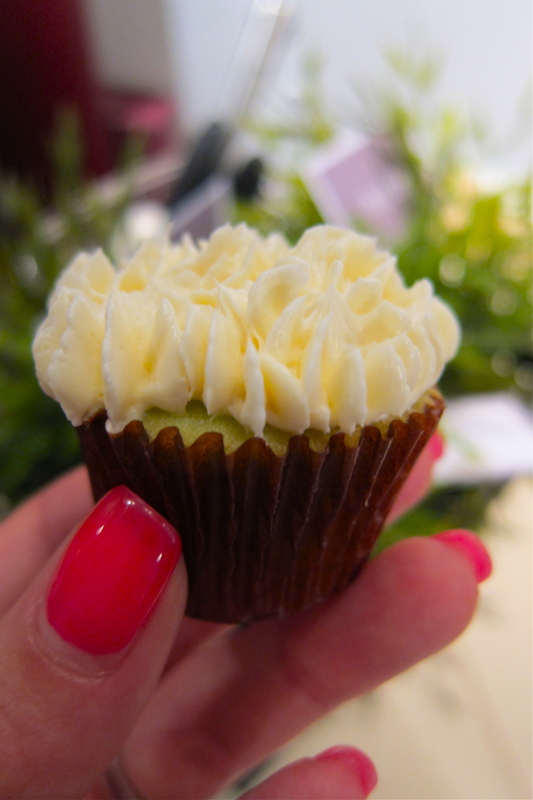 I saw their Envy mini cupcakes (pandan with buttercream) on the table and had to have one. 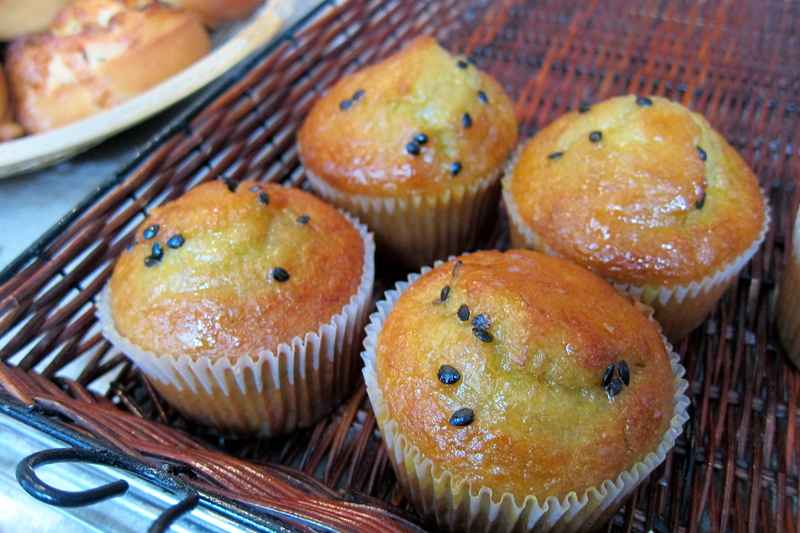 The pandan flavour was a touch on the light side, but they satisfied my cupcake craving. Swedish’s Handmade says, “The first thing you will think of if wanting to live a healthy life, is to eat right and exercise, but what you don’t think about is all the toxins we put on our body in form of soaps and lotions.” She does have a point …! 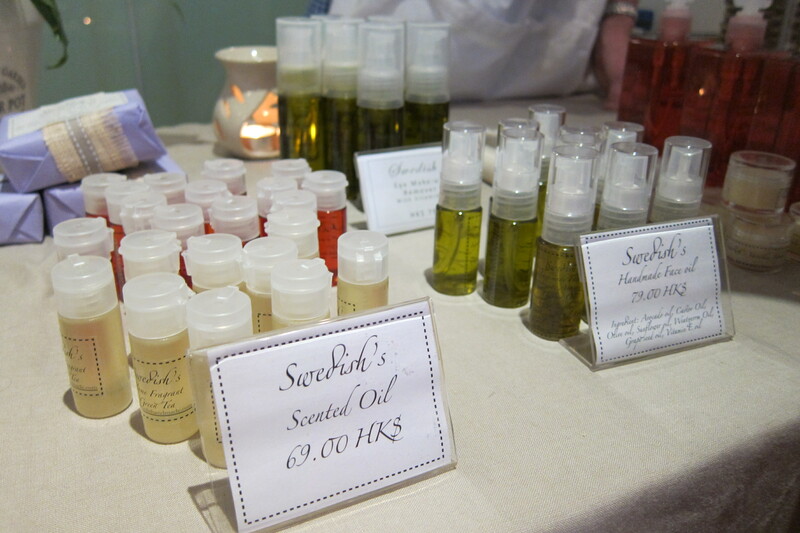 Swedish’s products are made with natural oils, no chemicals, and are all handmade by the lovely Rebecca. 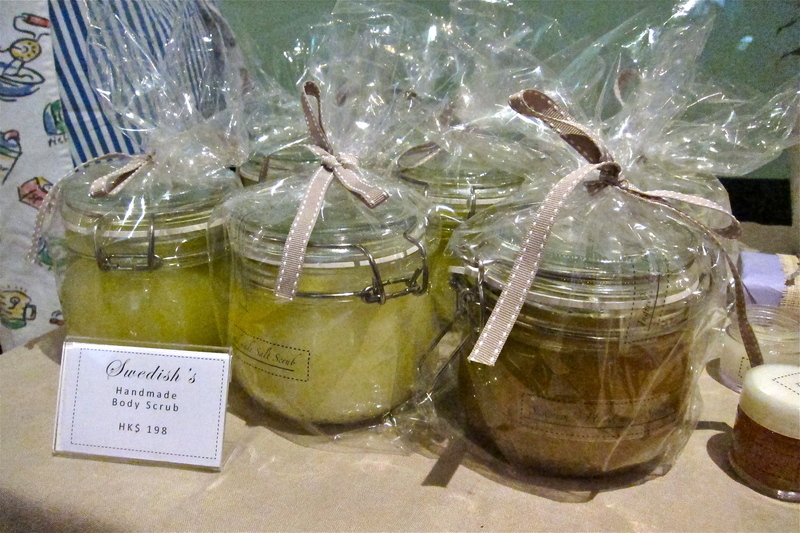 I bought two of her Lemongrass Salt Scrubs (it smelled heavenly and instantly transported me to a holiday destination in my mind! ), one for a birthday gift and one for myself. I never got around to trying it because another birthday came up and I gave mine away as a present! ohhh!!! I have missed out this event!! I saw lots of wonderful pictures on Instagram regarding this event. The Island East Market is going to start again on 15/9..hopefully it’ll be better than it used to be. Hi there, you’ll be glad to know that Island East Markets will be back starting Sunday September 15, and the products you love will be back too. Swedish’s and and Niche have been longtime supporters since the last couple of seasons, and Bread Elements and Happy Cow will join us too. Hope to see you back soon. @ Peggy,I’ll definitely keep everyone posted about the next Made in HK event here on on my blog! 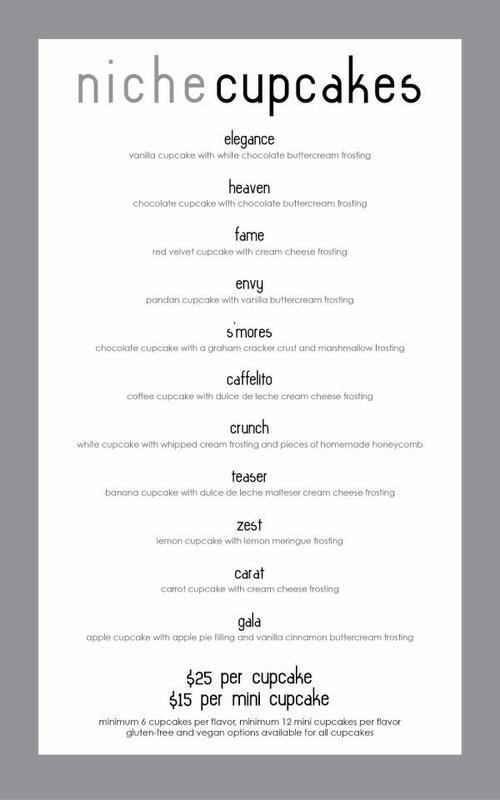 @ Janice, it’s really an honour to know that you’ve read my blog, and I read you often on http://www.e-tingfood.com/ – I look forward to visiting EIM with all of these amazing vendors there!